Himachal Pradesh has unparalleled splendour that makes it one of the most sought after tourist destinations in India. And the capital of the state, Shimla by all means lives up to its reputation. The place boasts of being irrevocably magnificent and rich with the bountiful nature, superb architecture dating back to the colonial times and the brilliant sight seeing spots in and around the city that makes it a romantic’s paradise. So, if you are looking forward to spend a romantic vacation in Shimla, you need to make the best of this place to make your holidays even more unforgettable. Here’s how. 1. Take long romantic walks together. The power of a simple and humble walk with the one you love cannot ever be undermined. And then when it is the intimidating Shimla, with its profuse natural beauty all around, a small walk is all you need to rev up the romance. The ridge is a vast open space running from east to west of Shimla. It is ideal to take long leisurely walks with your sweetheart forgetting all the worries of the world. The grand view of the snow capped mountains it offers makes it even more alluring. The walk is soothing and the company pleasing. With every step you take together towards this ancient temple located at a short trekking distance of 4 km at a hilltop, you will find yourself binding even closer. The heavenly enviroment just does that to you. 2. Witness the romance lurking in the wild. The dense forests, the mellifluous birds and the enigmatic beasts, all are perhaps out of a fantastic fairy tale full of romance and love. It is hard to express in words but only when you visit these sanctuaries will you understand what an enchanting, almost bewitching effect it has on your relationship to make it even more romantic and stronger. 150 km away from Shimla, this sanctuary was established in the year 1962. It is spread over an area of 167.40 sq. km and is counted as one of the top tourist destinations of Shimla. Situated in Kufri, 19 km from Shimla, Himalayan Nature park is the home to some very rare animals and birds of the mountainous region; like the barking deer, musk deer, monal, pheasant etc. Just watching these beautiful creatures in their natural habitat will make you warmer from inside. 3. Be adventurous in love. Love itself is a marvellous adventure. Ans when you are in Shimla, where adventure sports are so easy to come by, you must definitely give a try to impress your girl. Swirl around and lose yourself gliding together hands in hands on the natural snow rink. But if you don’t know how to skate, it’s even better. Falling silly and being given a gentle hand by your beau to help you get up; isn’t that a call for the blush he loves so much? Enjoy ice- skating at the Mall road in Shimla to truly experience that bliss. Love has ups and downs and to make it live up to your still standing strong love, give the adrenaline pumping, river rafting a chance. This thrilling sport that starts at Chabba and ends at Tattapani will surely make your hearts start racing fast and there won’t just the gushing white water to blame. Situated at a distance of 51 km from Shimla, Tattapani even has provision to help you spend solitary hours together trying playfully your hand at fishing. Maybe bet your partner who’s going to catch a good fat one enjoy the fun that follows. 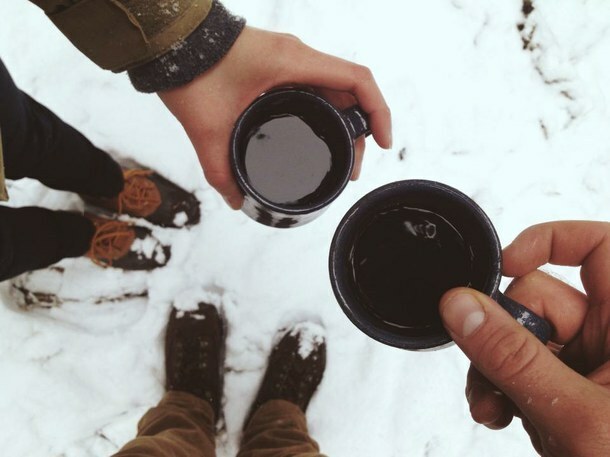 Snow has something magical to it that makes couples fall in love over and over again. Enjoy the sport of skiing with your sweetheart at Kufri and build those memorable moments of fun and togetherness to last a lifetime. 4. Make her blush over a cup of coffee. A visit to any place is incomplete without tasting the local food of that place and it becomes even more pressing when you want to spend a romantic holiday with your beau. So, given here are some exceptional options for a yummy adventure. With mouth watering food served in the ambience with a warm and rustic touch, Quila is a place to dine in style with your beloved. Situated at the Mall road it is ideal for a wonderful dinner date for couples. It is always an enticing proposal for couples to roam about carelessly with your beau’s arm interlinked to yours and stealing away the fun of casually eating out at a local street food junction. So, let your feelings melt like butter with a treat of scrumptious butter bun and a cup of warm tea at the famous Kewal Ka Dhaba at Thandi Sadak, Chawda Maidan or enjoy the freshness of Himalayan fruits at a yet another popular vendor Bihari Lal Sharma Stall at Takka Bench, Ridge. What’s the best thing about this charming little cafe is that apart from brewing some heavenly coffee, it remains open 24 hours. So, you can spend some serene moments of quiet night sipping a hot cuppa and whispering sweet nothings in her ear to see her blush. 5. Warm up snuggling in each other’s arms. 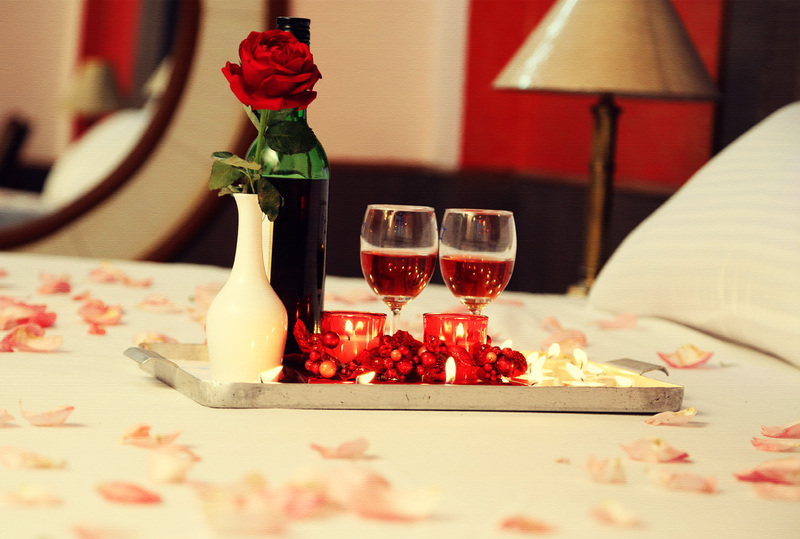 A cosy romantic nest is the most essential part for any romantic getaway. While the options for a comfortable stay are many, below are some top romantic sojourning options in Shimla. Tucked away in the scenic surrounding of tall trees and high mountains, Oberoi Cecil gives you the opportunity to stay in the most romantic ambience you dream of. With antique furniture, wood panelling and sheer curtains giving the room a soft and warm romantic feel, as a couple you will truly enjoy your stay here. This palace turned hotel provides the perfectly romantic stay for a couple who enjoys warm ambience in proximity to the nature, homely touch and friendly hospitality. To make things more enticing, there is a private woodland of the hotel where you can take long leisurely strolls for a lovely romantic evening. The right blend of modern facilities for comfort and the loving ardor of the nature around, Radisson hotel can prove to be a great place to stay for a romantic vacation in the mountains. 6. Fall in love again under the starry sky. What couple most look forward to when being in Himachal Pradesh is the tons of opportunities the state gives you for a mystical escapade of camping in solitude and giving each other unperturbed attention that you can’t achieve in the hustle bustle of urban life. Shimla has loads of such opportunities for you to avail. There is something magical about walking among the thicket of oaks, pine and cedar trees towards the Chail Wildlife Sanctuary. While sharing the exciting experience of watching the rare fauna with your loved one is special in its own unique way, camping with them and spending the night under the clear blue sky of Himachal with them along is even more beautiful and dream like. Located 16 km from the city. This place is bestowed with nature’s flawless beauty and serenity. It’s truly a spectacular place to camp together and feel yourself getting closer. 7. Let the eyes do the talking. Sometimes what the words can’t express, the eyes do. In fact, it is always a heart warming affair when you as a couple just hold hands and lose yourself in the tranquillity of the atmosphere. Shimla has so many places where you get to live such moments. The Summer Hill or the Potter’s Hill is the place where the word ‘poignant’ gets a new meaning. Just hold hands and soak in the breath taking sight of the sprawling greenery and the town nestled peacefully amidst it. You will never have felt more connected than now. Famous for the scandalous romantic meetings of the Viceroy’s daughter with Maharaja of Patiala, this quaint spot at the west end of the Ridge has a history of undying romance. Why not relive those moments and write your own story here? The place no doubt is as enchanting as can be; every reason to make you to turn into a hopeless romantic. 8. Treat your lady love well. The perfect recipe to win your love’s heart? Take her shopping. Mall road and the adjoining Lakkar baazar has unlimited options for shopping for goods to take back with you along with the sweet memories. While Mall road has everything to offer you under the sun from shawls to souvenirs to trinkets; Lakkar baazar as the name suggests is famous for its artisan wood work. Buy a pretty box for your lady to hold those trinkets in or grab a hand crafted centre table to furnish your love den. 9. Move mountains in love. Excursions are another way to stay closer and experience something exciting and new as a couple. Shimla is an ideal tourist destination that has many great places around the city for excursions that allows you to weave beautiful remembrances together. Narkanda is located at a distance of 60 km from Shimla and is an excellent place for couples to go on an excursion. Far away from the maddening city life, the place has a calming aura to it. You can enjoy skiing and other adventure sports here at the Narkanda Ski resort. It also favours trekking and has a splendid trekking trail up to the Hattu Peak with a delightful view of the mountains and the green valley all along the way. Chadwick Falls, about 7 km from Shimla and only 45 minutes of walk away from Summer hill are uniquely rejuvenating. Waterfalls have always been synonymous with everything romantic and this is your easy chance to grab that opportunity to spend some quality time with your love. The melodious sound of gurgling falls and the dense green forests around set the perfect backdrop for a romantic rendezvous. 22 km away from the main town of Shimla, Naldhera is one of the best places around for some good excursion. The clear blue skies and picture perfect natural surroundings makes you fall in love all over again. You can both go test your skill at golfing at one of the highest located golf courses in the world here. You can relax and renew your energies at the Naldhera Hill resort and watch the sunrise from here which undoubtedly one of the most beautiful things one can witness.